I can’t believe I forgot to share these fall looks! I took these photos back in November and never shared. 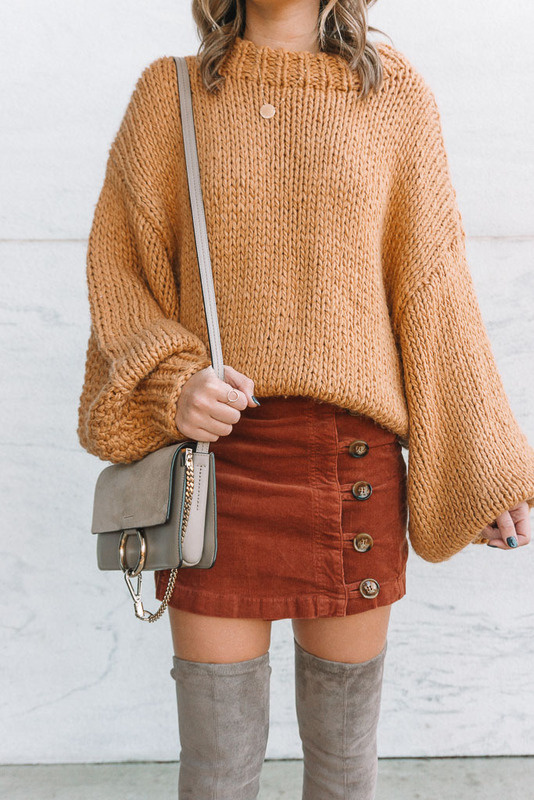 This cozy chunky knit sweater is too good not to share! And even though it’s ALMOST a new season, I am still obsessed with this color combo! 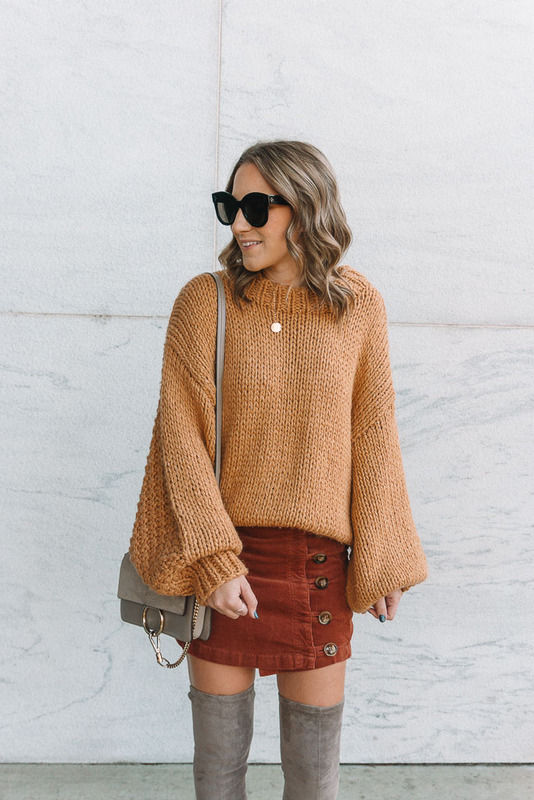 What I love most about this sweater is the chunky knit! It’s SO cozy and I love the oversized sleeves. In the first look, I dressed it down with my favorite distressed skinnys and the cutest plaid jacket (that’s so warm and under $50, btw!). To dress it up a bit more, I paired it with this adorable corduroy mini skirt from Nell and Rose. I fell in love with the color and tortoise shell buttons on this one. It’s the perfect little fall and winter skirt that makes a statement without being too over the top! This look was topped off with the BEST over the knee boots! If you’ve been eyeing these, now is the time to snag them! They are my favorite winter boots! I did a whole post on them, which you can check out here. Get 30% off with code ASHLEY30.